In case you’re confused (and many are! 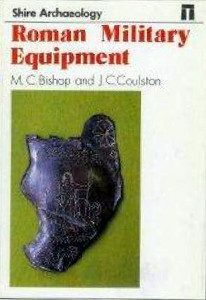 ), we (M. C. Bishop and J. C. N. Coulston) have written three and a half books entitled Roman Military Equipment. The first was a short booklet published in 1989 by Shire Publications, No.59 in their Shire Archaeology series (ISBN 978 0747800057). This was never reprinted, even though it sold out and was not remaindered. 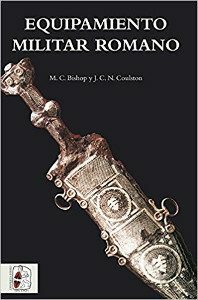 Using black and white photographs and specially prepared line illustrations, it was intended to provide a succinct introduction to Roman military equipment. Although focused on Britain, it drew on examples from throughout the Roman Empire. 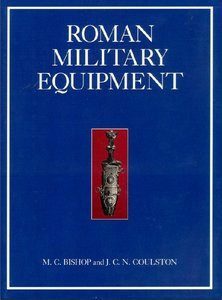 Our second book with that title (albeit somewhat expanded) was the much larger first edition of Roman Military Equipment from the Punic Wars to the Fall of Rome and that was published by Batsford in 1993 (ISBN 978 0713466379). With new line illustrations and a central colour plate section, this volume aimed to provide a comprehensive overview of the current state of Roman military equipment studies. Introducing the various sources of evidence, it consisted of a chronological outline, followed by chapters examining certain broader issues. 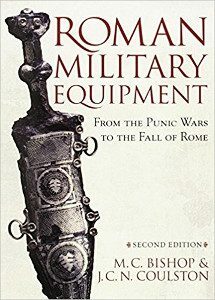 The present (second) edition of Roman Military Equipment from the Punic Wars to the Fall of Rome is the third book with the RME title and was published by Oxbow Books in 2006 (ISBN 978 1842171592). This was a complete revision of the text and illustrations, taking into account all the latest finds since the first (Batsford) edition of the book, as well as various constructive comments offered in published reviews. This edition is still in print and available for purchase from a variety of outlets. And the half book? In 2016, the Spanish military book specialist publisher Desperta Ferro produced a Spanish edition of Roman Military Equipment. Entitled Equipamiento militar romano (ISBN 978 8494518706), it is a direct translation (by Yeyo Balbás) of the text of the 2nd edition, using the same illustrations as the original English edition. A sample chapter can be downloaded from the publisher’s website.